Combine ingredients in mixing tin; add ice & shake; strain up in a cocktail glass. 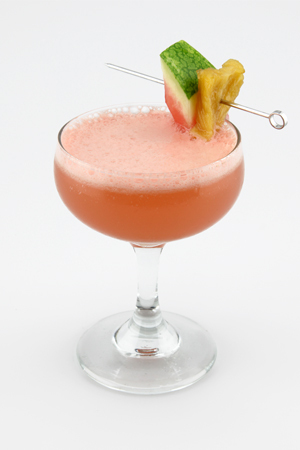 Garnish with a candied pineapple or lime wheel. *To make the pineapple syrup: 1 part sugar in the raw / 1 part water / 1 part pineapple chunks; simmer until translucent and allow to cool.